Are a lot of the precious moments in your life captured in pictures and slides? If so, you know just how invaluable these images are! Our company understands the importance of preserving these special times and occasions that can never get replaced. 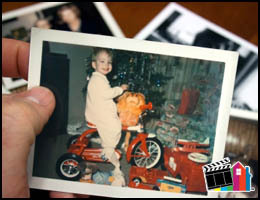 Our photo and slide transfer services are ideal for preserving, organizing, and restoring your photo archives. No matter whether you want a digital copy of a few select photo collections, or you have an immense assortment of slides and images you want to transfer; our services help you consolidate and streamline your photo collections nearly effortlessly! Available for storage on either a USB stick or DVD format, your print photographs and slides are accessible using your compatible devices. Are some of your older photographs and slides losing their picture quality? If so, our services can be used to help restore these images to be more vibrant, colorful, and focused. We are specialists in our field of work and take great care to make sure that all of our photo and slide transfer services meet or exceed our valued customer’s expectations. Our photo transfer services are ideal for creating keepsake gifts or as a way to organize all the print photos and slides you’ve kept over the span of years. By doing so, you are also taking the necessary steps to safeguard copies of your existing photo collection from loss, quality degradation, or other unforeseen damages. Do you often find yourself having troubles selecting the perfect gift for friends and relatives? If so, our photo transfer services are a splendid way to create a unique, unforgettable gift for them. All you need to do is sort the pictures and slides you want to include on your keepsake photo transfer and we’ll do the rest! 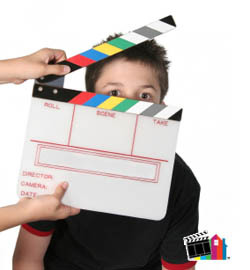 If you have additional questions about our photo and slide transfer services, we are standing by to answer them! Just give us a call at 440-988-7400 to speak with one of our Photo Transfer specialists today!